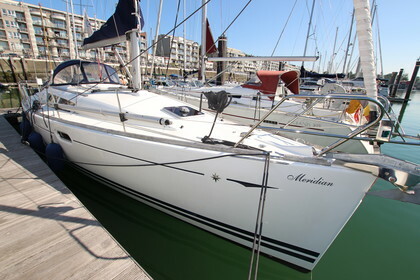 "Meridian" is a Jeanneau Sun Odyssey 39i from 2010 and it looks like new. It's very well maintained by it's owner. It's ideal for family vacations. There is room for 6 people but when lowering the table in the saloon you can add 2 more. It has a large beam which gives you a lot of space in the cockpit. The boat is easy to handle with the dubble steering wheels. It has a plotter and radar to ensure safe travels. The kitchen is well organized and it has a very large fridge so you can store more drinks for your friends. This boat is definetly worth a visit. Call or mail me for more info.